10/12/2017 Bummer, Due to low vendor response, we will cancel this year's Fall Boutique. We received a total of 10 vendors at this time, compared to 22 last year, for spaces/tables. Maybe more would come as a late request, but for planning, we feel we needed to make a decision, and that is to cancel it. Click here for a registration form. When your payment is receive your spot will be confirmed. ​Interested? Return our attached registration form as soon as possible in order to reserve a space. *On our registration form please indicate if you need a table for an additional $5 per table fee. Setup: 6:00-8:30pm Friday night and 7:00-9:00am Saturday morning. Participants are responsible for collecting their own state sales tax. Make registration check payable to Mt. Bethel UM Women. Questions: Joann L. 651-455-8402 or Judy A. 651-455-1462 or email the church. We, Mt Bethel Church, launched this annual event the Fall of 2009.
raise dollars for extra generosity to Mt Bethel Church local ministry activities. Thank you for your faithfulness of attending/participating in our event. Members and friends of Mt Bethel, if you are providing baked goods for bake sale-- Please drop off your goodies to the kitchen by: Friday night 6-8:30pm or Saturday morn 7-9am. We got to meet many from our community at our 2016 Craft Boutique - Craft Sale. Vendors and crafters got to market the outcomes of their talents along with visiting and a delicious Chicken noodle or Chili soup lunch. Again, a tremendous amount of appreciation to members and friends of the church for your faithfulness of communicating, attending, bring friends and active participation in our event. $1000 was raised for ministry to our community. click the image or here to see pictures. Click on image for pictures from the day of beautiful... Thank you Vendors, thank you attendees! 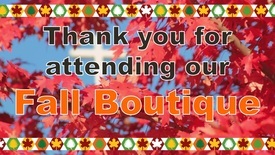 Saturday, Oct 24, 9a-3p is Mt Bethel's Craft Boutique. Items include: Quilt & knit items, jam & jelly, scrubbies, Avon, seasonal arrangements, gift baskets, jewerly, wood & feather crafts, Wildtree food items, Notepads & More…, baby items, 31 Bags, baked goods, lunch and much more…. Again, Thank you, Thank you to the MANY who participated in this event in a variety of ways: vendor/crafter, communication, providing baked goods, lunch prep and working the event set-up to tear-down.